High school is a transformative time for any student. It marks the transition from childhood to adulthood and requires discipline, dedication and determination to excel and get into their desired college or university. The barrier to entry for college now seems much higher than when I was eighteen, but I am not worried for the current generation of high school students. That’s because I’ve met some of the brightest young minds this past week at the 2017 CIRM SPARK meeting. 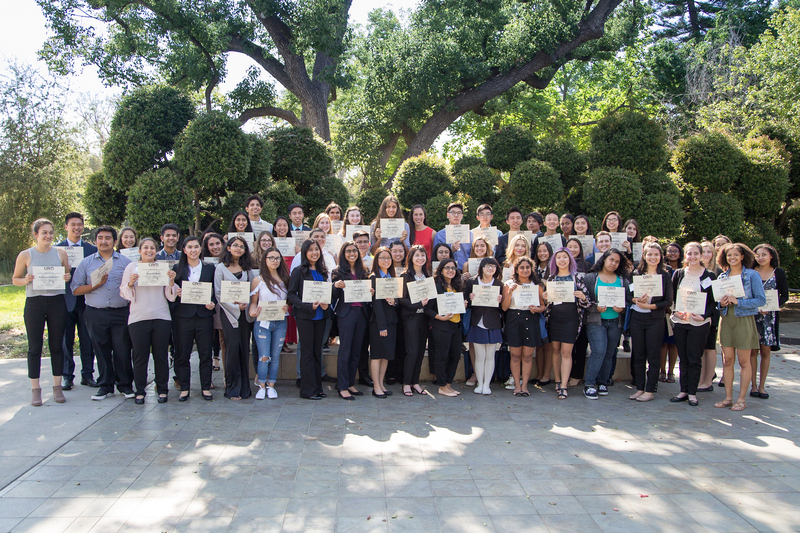 SPARK is CIRM’s high school education program, which gives underprivileged students in California the opportunity to train as stem cell scientists for the summer. 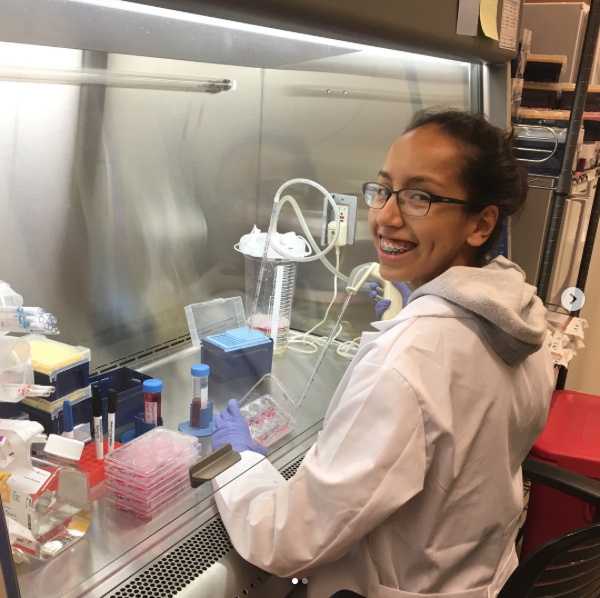 Students participate in a summer research internship at one of seven programs at leading research institutes in the state. They attend scientific lectures, receive training in basic lab techniques, and do an eight-week stem cell research project under the guidance of a mentor. At the end of the summer, SPARK students congregate at the annual SPARK poster meeting where they present the fruits of their labor. Meeting these students in person is my favorite time of the year. 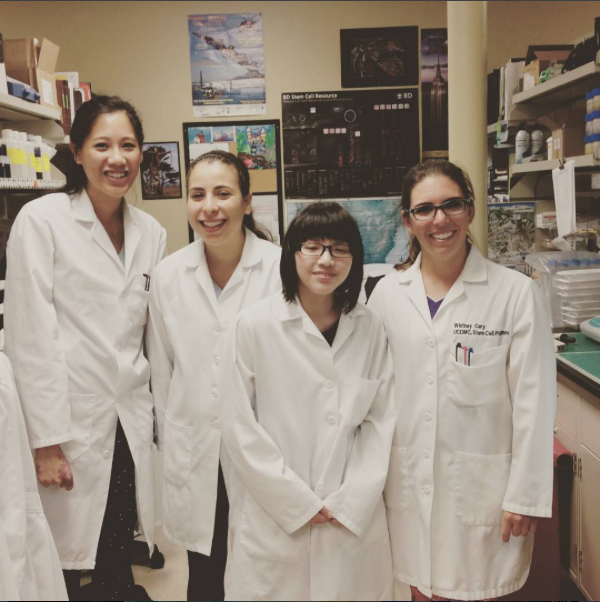 Their enthusiasm for science and stem cell research is contagious. And when you engage them or listen to them talk about their project, it’s hard to remember that they are still teenagers and not graduate level scientists. What impresses me most about these students is their communication skills. 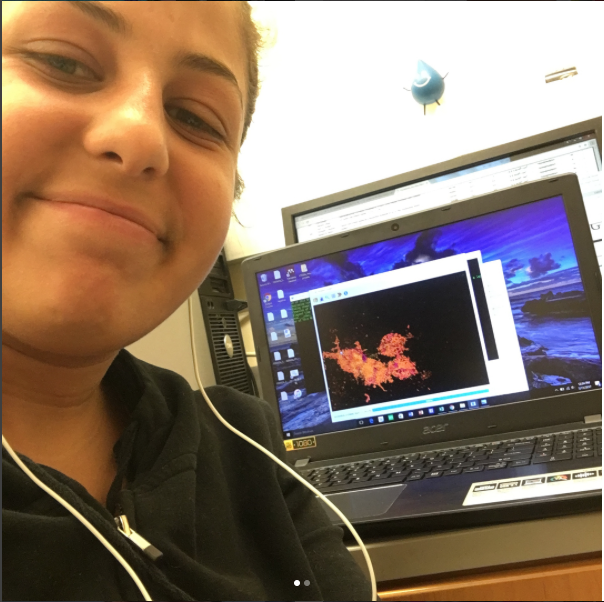 Each summer, I challenge SPARK students to share their summer research experience through social media and blogging, and each time they go above and beyond with their efforts. Training these students as effective science communicators is important to me. They are the next generation of talented scientists who can help humanize research for the public. They have the power to change the perception of science as a field to be embraced and one that should receive proper funding. It’s also inspiring to me that this young generation can effectively educate their friends, family and the public about the importance of stem cell research and how it will help save the lives of patients who currently don’t have effective treatments. If you haven’t already, I highly recommend checking out the #CIRMSPARKlab hashtag on Instagram to get a taste of what this year’s group of students accomplished during their internships. Asking students, many of whom are learning to do research for the first time, to post on Instagram once a week and write a blog about their internship is a tall task. And I believe with any good challenge, there should be a reward. Therefore, at this year’s SPARK meeting held at the City of Hope in Duarte, California, I handed out prizes. Ok, enough with the hype, I know you want to read these award-winning blogs so I’ve shared them below. I hope that they inspire you as much as they have inspired me. It was a day like any other. I walked into the room, just two minutes past 10:30am, ready for another adventurous day in the lab. Just as I settle down, I am greeted by my mentor with the most terrifying task I have ever been asked to perform, “Will you passage the cells for me…alone?” Sweat begins to pour down my cemented face as I consider what is at stake. The procedure was possibly thirty steps long and I have only executed it twice, with the supervision of my mentor of course. To be asked to do the task without the accompaniment of an experienced individual was unthought-of. I feel my breath begin to shorten as I mutter the word “Ok”. Yet it wasn’t just the procedure that left me shaking like a featherless bird, it was the location of my expedition as well. The dreaded tissue culture room. If even a speck of dirt enters the circulating air of the biosafety cabinet, your cells are at risk of death…death! I’ll be a cell murderer. “Alright”, she said, “I’ll just take a look at the cells then you’ll be on your way.” As we walk down the hallway, my eyes began to twitch as I try to recall the first steps of the procedure. I remember freezing our plates with Poly-ornithine and laminin, which essentially simulates the extracellular environment and allows adhesion between the cell and the plate itself. I must first add antibiotics to rid the frozen plate of potential bacteria. Then I should remove my cells from the incubator, and replace the old solution with accutase and new media, to nourish the cells, as well as unbind them from the plate before. Passaging is necessary when the cell density gets too high, as the cells must be relocated to a roomier environment to better promote survival. As we approach the tissue culture room, my jaw unclenches, as I realize the whirlwind of ideas meant I know more than I thought. My mentor retrieves our cells, views them under the microscope, and deems them ‘ready for passaging’. “Good luck Amira” she says to me with a reassuring smile. I enter the room ready for battle. Placing first my gloves and coat, I then spray my hands and all things placed in the cabinet with 70% ethanol, to insure a sterile work environment. Back to the procedure, I’ll place the cellular solution of accutase and media into a covalent tube. After, I’ll centrifuge it for two minutes until a cellular pellet forms at the bottom, then dissolve the cells in fresh media, check its density using a cell counter, and calculate the volume of cellular solution needed to add to my once frozen plates. Wait, once I do that, I’ll be all done. I eagerly execute all the steps, ensuring both accuracy and sterility in my work. Pride swells within me as I pipette my last milliliter of solution into my plate. The next day, my mentor and I stop by to check on how our sensitive neural stem cells are doing. “Wow Amira, I am impressed, your cells seem very confluent in their new home, great job!” I smile slyly and begin to nod my head. I now walk these hallways, with a puffed chest, brightened smile, and eagerness to learn. My stem cells did not die, and having the amazing opportunity to master their treatment and procedures, is something I can never forget. Walking into the lab that would become my home for the next 8 weeks, my mind was an empty canvas. Up to that point, my perception of the realm of scientific research was one-sided. Limited to the monotonous textbook descriptions of experiments that were commonplace in a laboratory, I wanted more. I wanted to experience the alluring call of curiosity. I wanted to experience the flash of discovery and the unnerving drive that fueled our pursuit of the unknown. I was an empty canvas looking for its first artistic stroke. Being part of the CIRM Research program, I was lucky enough to have been granted such opportunity. Through the patient guidance of my mentor, I was immersed into the limitless world of stem cell biology. From disease modeling to 3D bioprinting, I was in awe of the capabilities of the minds around me. The energy, the atmosphere, the drive all buzzed with an inimitable quest for understanding. It was all I had imagined and so, so much more. However, what many people don’t realize is research is an arduous, painstaking process. Sample after sample day after day, frustration and doubt loomed above our heads as we tried to piece together a seemingly pieceless puzzle. Inevitably, I faced the truth that science is not the picture-perfect realm I had imagined it to be. Rather, it is tiring, it is relentless, and it is unforgiving. But at the same time, it is incomparably gratifying. You see, the innumerable samples, the countless gels and PCRS, all those futile attempts to fruitlessly make sense of the insensible, have meaning. As we traversed through the rollercoaster ride of our project, my mentor shared a personal outlook that struck very deeply with me: her motivation to work against obstacle after obstacle comes not from the recognition or prestige of discovering the next big cure but rather from the notion that one day, her perseverance may transform someone’s life for the good. And in that, I see the beauty of research and science: the coming together of minds and ideas and bewildering intuitions all for the greater good. As I look back, words cannot express the gratitude I feel for the lessons I have learned. Undoubtedly, I have made countless mistakes (please don’t ask how many gels I’ve contaminated or pipettes I have dropped) but I’ve also created the most unforgettable of memories. Memories that I know I will cherish for the journey ahead of me. Having experienced the atmosphere of a vibrant scientific community, I have found a second home, a place that I can explore and question and thrive. And although not every day will hold the cure to end all diseases or hand an answer on a silver platter, every day is another opportunity. And with that, I walk away perhaps not with the masterpiece of art that I had envisioned in my mind but rather with a burning spark of passion, ready to ignite. With college selectivity increasing and acceptance rates plummeting, the competitive nature within every student is pushed to the limit. In high school, students are expected to pad up their resumes and most importantly, choose an academic path sooner rather than later. However, at 15, I felt too young to experience true passion for a field. As I tried to envision myself in the future, I wondered, would I be someone with the adrenaline and spirit of someone who wants to change the world or one with hollow ambitions, merely clinging onto a paycheck with each day passing? At the very least, I knew that I didn’t want to be the latter. The unrelenting anxiety induced by the uncertainty of my own ambitions was intoxicating. As my high school career reached its halfway mark, I felt the caving pressure of having to choose an academic path. “What do you want to be?” was one of the first questions that my mentor, Whitney Cary, asked me. When I didn’t have an answer, she assured me that I needed to keep my doors open, and the SPARK program was the necessary first step that I needed to take to discovering my passion. With boundless patience, my mentor and the Stem Cell Core strove to teach me techniques, such as immunocytochemistry and continually took the time out of their busy day to reiterate concepts. Despite my initial blunders in the hood, I found myself in a place without judgement, and even after discouraging incidents, I felt a sense of consolation in the witty and good-humored banter among the Stem Cell Core. At the end of every day, the unerring encouragement from my mentor strengthened my resolve to continue improving and incited an earnest excitement in me for the new day ahead. From trembling hands, nearly tipping over culture plates and slippery gloves, overdoused in ethanol, I eventually became acquainted with daily cell culture, and most importantly, I gained confidence and pride in my work. I am grateful to CIRM for granting me this experience that has ultimately cultivated my enthusiasm for science and for the opportunity to work alongside remarkable people, who have given me new perspectives and insights. I am especially thankful to my mentor, whose stories of her career journey have inspired me to face the future with newfound optimism in spite of adversity. As my internship comes to a close, I know that I have taken my “first step”, and with a revived mental acquisitiveness, I eagerly begin to take my second.